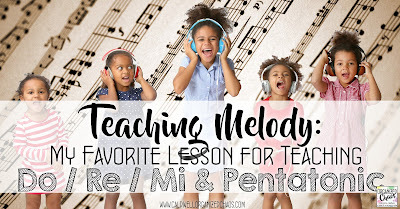 Over the last few weeks I've been sharing some of my favorite lessons for introducing different solfege pitches in elementary general music. 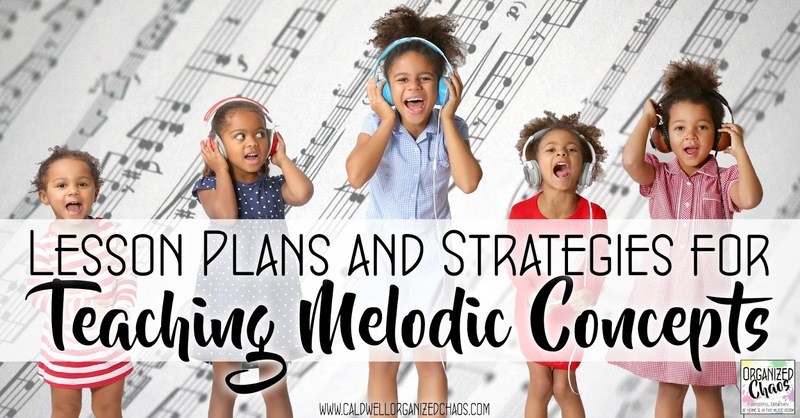 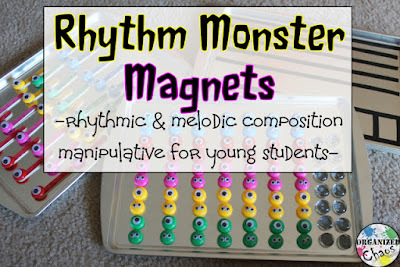 These are a great way to get your lesson plans going as you plan out your long-range sequence for teaching melodic concepts across grade levels! 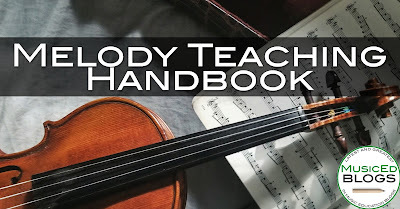 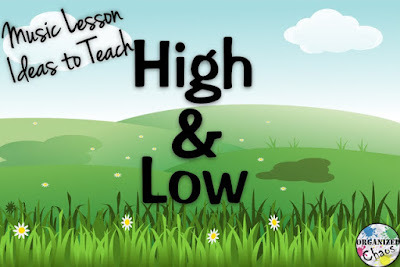 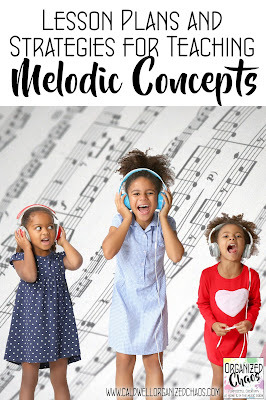 Along with my posts on solfege, I've got a few other favorite posts and resources to help you teach melodic concepts as effectively and comprehensively as possible. Once students have a solid understanding of Mi and Sol, it's time to add La! 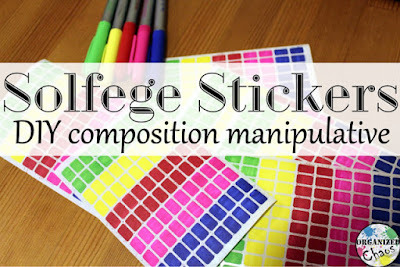 For older students, I find color-coding the notes helps a lot with melodic composition, and stickers are a fun way to break up writing tasks! 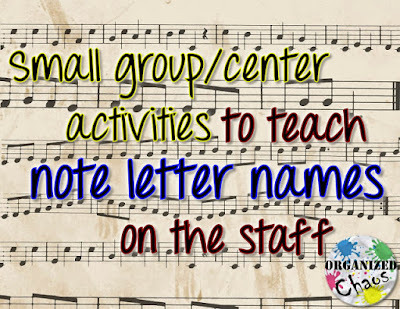 Want more lesson plans, ideas, and timely resources sent straight to your inbox? 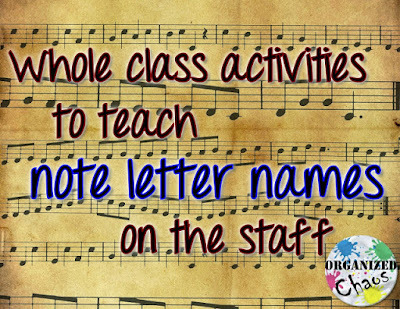 Click here to sign up for the Organized Chaos newsletter!